It is a condition that kills more children and adults under the age of 40 than any other cancer; its mortality rate within a year of diagnosis is an appalling 55 per cent – and the number of cases has risen by 25 per cent over the past 30 years – with the South West topping the list in cases per million. And yet it receives just one per cent of national spending on cancer research. It is against this sobering backdrop that University of Plymouth has taken a stand, partnering with a leading national charity to establish a Centre of Excellence in its medical school, underpinned by fundraising and awareness-raising to support ongoing research. “Brain tumour research is woefully underfunded,” said Professor Oliver Hanemann, who is the Associate Dean for Research in the University of Plymouth Faculty of Medicine and Dentistry, and lead for the centre. “This means a critical lack of researchers to investigate the condition and more effective treatments – at this rate it could take another 100 years to find a cure. The University was chosen as one of Brain Tumour Research’s official Centres of Excellence last year, in recognition of the expertise embodied by Professor Hanemann and his team in researching these tumours. Plymouth was the fourth national centre to be chosen, and each has pledged to provide support with up to £1 million per year in funding. The Development Office, which brings together Alumni Engagement, Campaign, Fundraising, Events, Partnerships, and Community Engagement, is now looking at ways to engage with stakeholders, including alumni, in support of the projects – whether ‘in kind’ or financial. 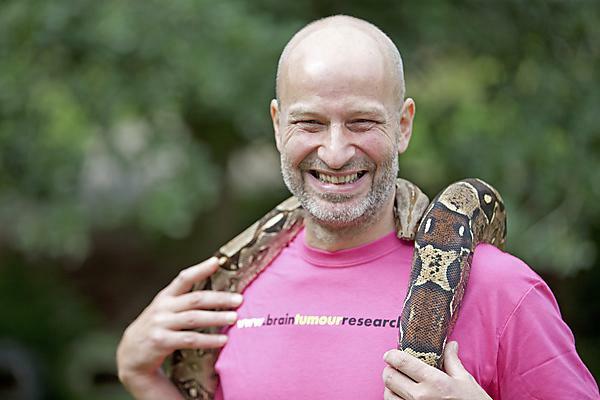 One of those, in the case of Brain Tumour Research, is Benjamin Mee, Director of Dartmoor Zoological Park, and an Honorary Doctor of Science at University of Plymouth. Benjamin lost his wife to a brain tumour in 2007 and has backed the project with awareness raising events at the zoo. The idea that a local team is looking into better treatments and ultimately cures for brain tumours is amazing and something I am very proud of in our region. Benjamin Mee Director of Dartmoor Zoological Park, and Honorary Doctor of Science at University of Plymouth, lost his wife to a brain tumour in 2007. “At the time when we were exposed to the relentlessness of Katherine’s brain tumour, I was more than frustrated. And I remain frustrated that a diagnosis of cancer is something of a lottery depending on where it is situated in your body. We know from the success stories of other cancers that improvements in timely diagnosis and effective treatment are possible, due to investment in research. One of the elements of the project is the Wall of Hope (pictured below with Professor Hanemann) at the Derriford HQ of PUPSMD, where for every £2,740 donated – the cost of one day of research – a tile will be placed with a personal message. Future campaigns will showcase and support a number of the University’s major life-changing projects, with others set to include a new medical research facility, a new scholarship programme for engineering students, a major marine and technology research initiative, and exciting projects in art and culture.